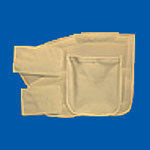 The double-sealed Afex Leg Bag holds up to 40 ounces and has a built-in drain handle for quick and easy drainage. 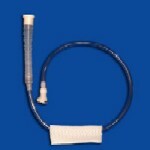 The bag easily connects to and disconnects from the Afex™ Extension Tube, required for use with the Leg Bag. Made of a breathable mesh that helps prevent skin irritation! 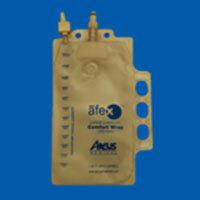 It holds the Afex Collection Bag in securely place and separates the bag from the skin.